(TNS)—Anyone retiring in 2019 could understandably be feeling a little skittish. Interest rates moving higher could be a good sign, in theory, for someone hoping to build ladders of CDs, for example. On the other hand, if it also ushers in an era of rising inflation, that’s troubling, too. A prolonged government shutdown could have even more of an impact on the economy. If delaying is no longer an option, either because of health, the job market or simply your own conviction, consider building in a few contingency plans. Several financial advisers contacted for this article say they are carving out cash buckets for retirees’ living expenses. Some of them take spending money directly from the cash bucket, replenishing it with stock gains periodically, while others keep the cash as a reserve to draw from during market downturns. Consider a couple retiring this year at precisely their full retirement ages, as defined by the Social Security Administration. The 66-year-olds will get a combined $3,000 a month in Social Security benefits and they have retirement accounts worth $500,000. Suppose the couple wants to withdraw $21,853 this year from savings, which is the spending rate recommended by BlackRock’s LifePath Spending Tool. Using a bucket strategy, the couple would put $65,559 into the cash bucket while investing the remaining $434,441 in a portfolio of 60 percent stocks and 40 percent bonds. Anyone about to retire should know precisely how much they are spending, though advisers says this is sometimes a big area for miscalculations. Particularly in the first few years, travel and hobby expenses can really add up, notes Mike Alves, a financial planner in Pasadena, Calif.
“Every client is different,” he says. Rather than building in an unsustainable long-term withdrawal rate to accommodate a few trips in the early years, he carves out another bucket for big-ticket items. 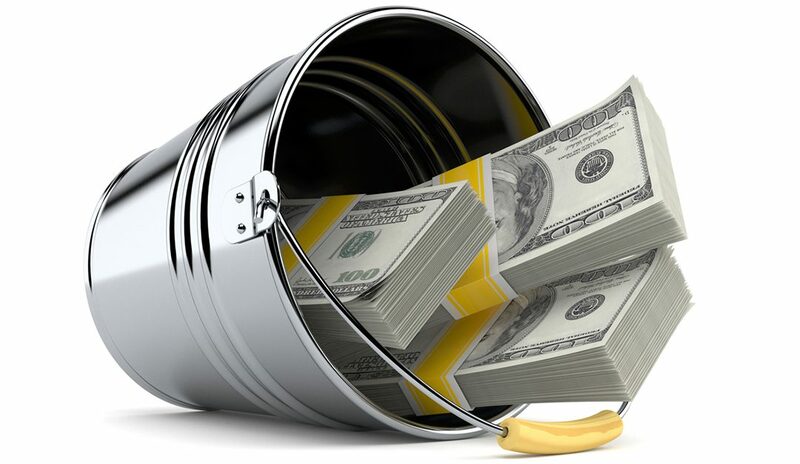 Clients see that bucket and know that when it’s gone, it’s gone, and they are left with their long-term withdrawal rate that pays the essentials, he says. Janet Kidd Stewart writes “The Journey” for Tribune Content Agency. Share your journey to or through retirement or pose a question at journey@janetkiddstewart.com.